BacstoneTM glass is produced through an innovative advanced glue-free technology combing stone and glass processing skills. BacstoneTM glass is comprised of double layers of extra clear glass laminated with thin natural stone by our special GS interlayer. During the whole processing, any glue is not used and with our special edge treatment, a perfect bacstoneTM glass is finished with the ability to resistance on cold or hot humidity, delamination and chemical corrosion in the air. BacstoneTM glass is your ideal selection for backlit stone glass facade , supported by our innovative glue-free advanced technology combing stone and glass processing skills. 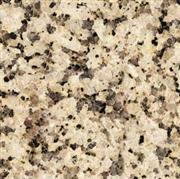 Our bacstone onyx glass can pass EN1543-4 1998 test, it can be used used for external onyx glass facade. 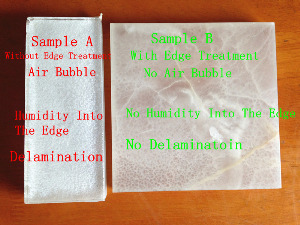 We use more harsh test than EN-12543-4 standard to test our bacstone onyx glass, we tested our sample in 122 degree relative humidity 95% 100 hours, result is no delamination and no air bubble at all. See above test photos.